In a mixing bowl, whisk together the lime juice, olive oil, salt and pepper to create a vinaigrette. 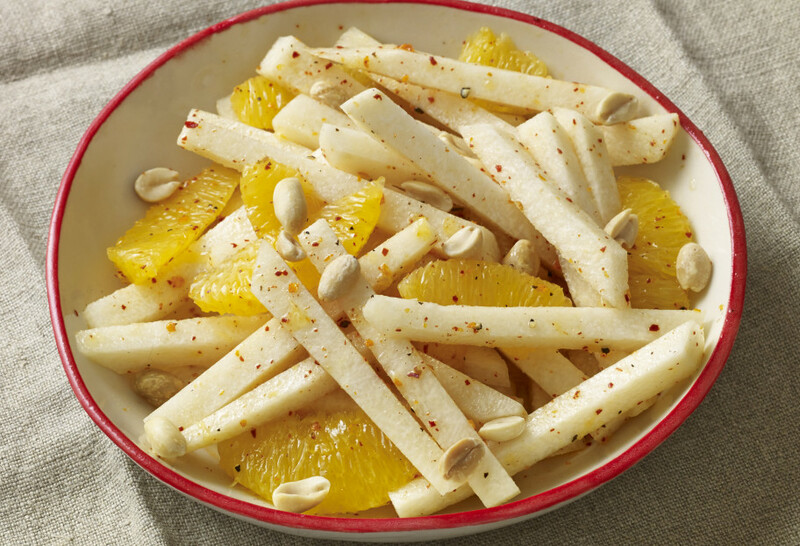 Place the jí­camas and oranges in a salad bowl. Toss with the vinaigrette. Let it all marinate for about 10 minutes, either inside or outside of the refrigerator. Sprinkle with the peanuts and serve.